How to Go the Healthy Way and Celebrate Sugar Cookie Day! Sugar Cookie Day is celebrated throughout the world on 9th of July every year and the sweet, delicious cookies are baked at almost every home on this particular occasion. Cookies are certainly a mouth watering dish for both the youngsters and the young at hearts. You may well be very fond of the cookie making procedures as it involves a lot of creative methods like cutting the cookies in different shapes and sizes, experimenting with various flavors. Enjoy the process of making it together with your family members. Your children may just have a great time using the various cookie cutters that are available in the market. So are you planning to have a blast with this sugary delight on the coming Sugar Cookie Day? You must have invited your friends to be a part of your celebration, right? But do you know that sugar cookies contain a high amount of calorie that can put you in the danger of gaining too much weight. Sugar Cookies are undoubtedly tasty but while pampering your taste buds you must also keep your health in mind. Regular consumption of cookies in large amount will be detrimental to your attractive shape. Hence, while choosing the ingredients, you must be conscious about the total sum of calorie that you and your children are going to consume. As kids are more inclined to munching on this crunchy confectionery, you must be more careful about the health quotient. Just a little bit of modification in the recipe will help you lower the calorie level and make your cookies a healthier piece of delicacy. The traditional method of cookie making includes butter, egg, sugar, flour and vanilla essence. Whether you are trying to be in shape or lose the extra flab, you must know what the combined impact of butter and egg can have on your diet. But the good news is that, you need not compulsorily add these elements to the battering process. You can make yummy cookies excluding these two components like butter and egg, without compromising on the taste factor. Still wondering how to make eggless or butter-free cookies? Take a look! Go the egg free way! You can skip the egg from your ingredient list and instead put some chocolate chips and milk in your cookie dough. Mix all the butter, sugar and vanilla and beat them into a creamy texture. Then slowly put the flour and salt into the mixture. After the whole concoction is done, pour some milk into it slowly and whip until all the ingredients are blended into a smooth batter. Sprinkle some chocolate chips over it. Then refrigerate for few 3-4 hours. Serve it among your kids and immerse yourself in this absolute delight. Butter out, vegetable oil in! You cannot even think of biscuits without butter, right? True that butter helps the cookies puff up evenly and enhance the taste. But you should also consider the negative effects it has on your diet. You can rather opt for vegetable oil and enjoy the same softness that you want in your cookies. Keep all other ingredients same and just replace the butter with vegetable oil. It’s done! Your healthy and tasty cookies are ready to be served hot or cold, whatever you prefer. Though these recipes cut down on the total amount of calories, taking them regularly is still not risk-free for you and your children as it contains a high quantity of sugar. So, make a plan to have it once or twice weekly and in smaller quantity, don’t overdo! 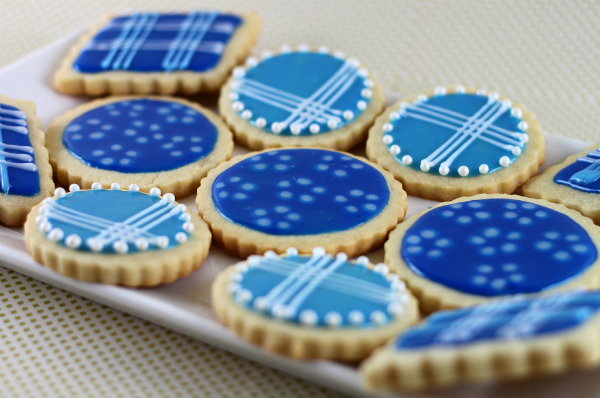 If you are throwing a party, cookies are a great thing to be served as starters. So think innovatively and make your own health-inducing cookies on this Sugar Cookie Day. Relish the sweet dish with your family and friends!